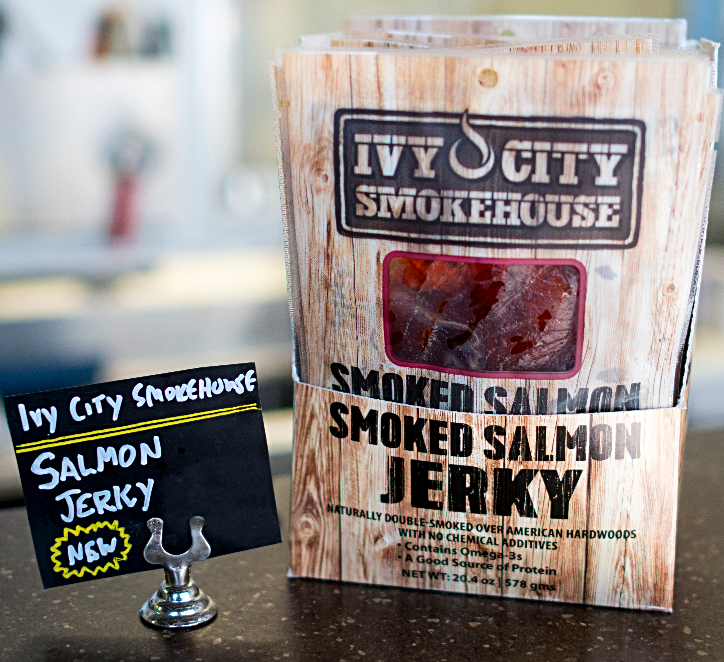 Thinly sliced, smoked & seasoned salmon, perfect for a quick healthy snack while at work or on the trail! 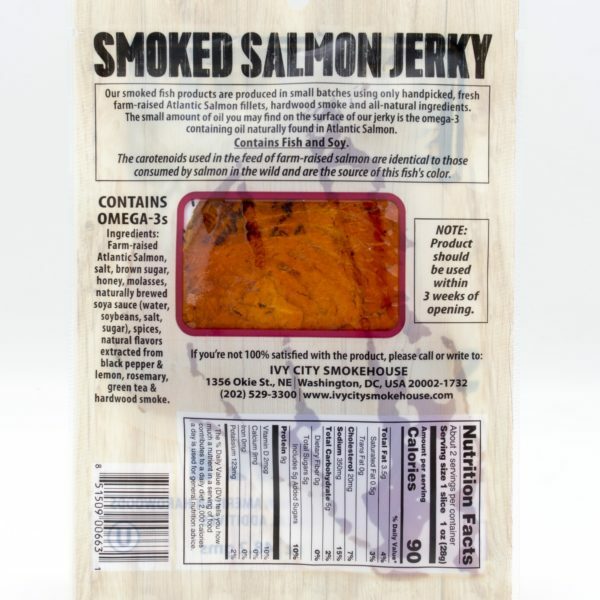 As a pescatarian, I have tried a bunch of salmon jerkys. I have never purchased another brand more than once, until now. 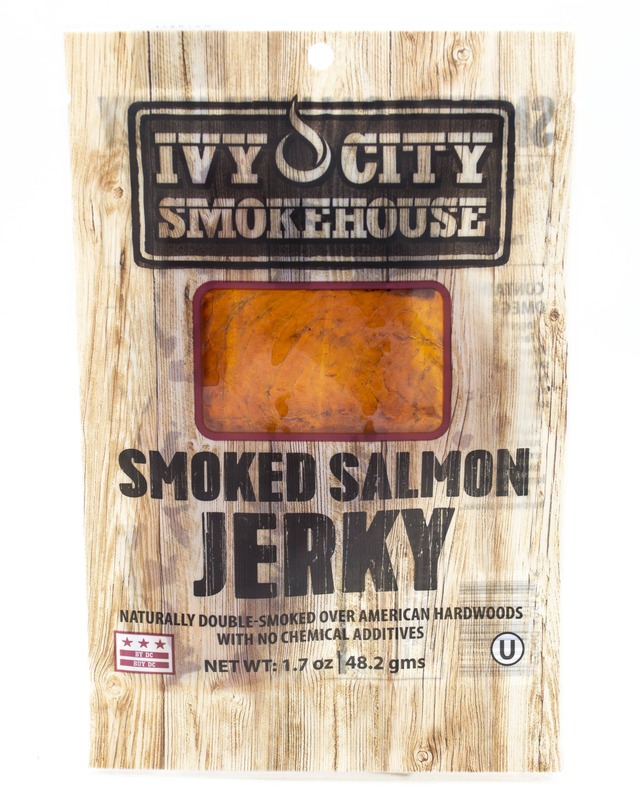 I am addicted to Ivy City Smokehouse salmon jerky. 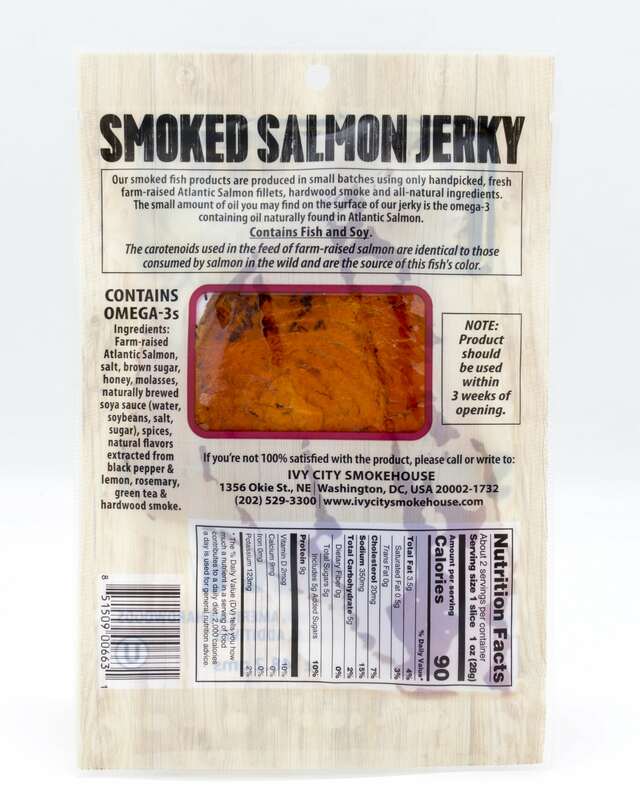 The smoky flavor is perfect, and the texture is like a silky soft beef jerky. I was first given this product by a woman at my gym that knew i was a pescatarian, and now I have everyone at the gym hooked (fish pun intended). 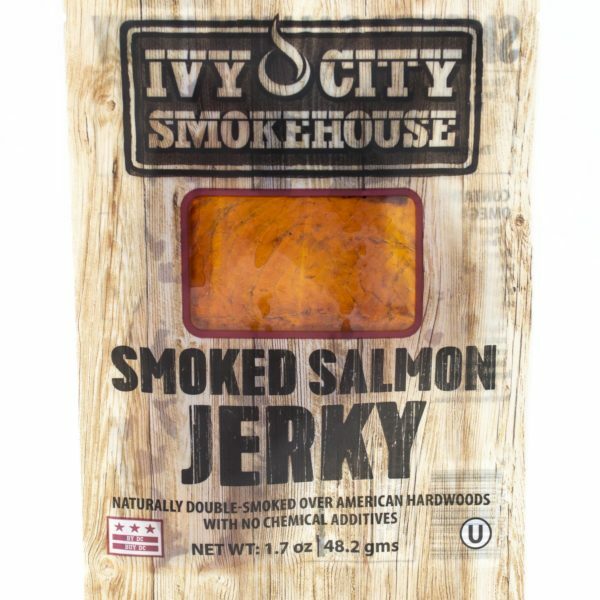 If you have had salmon jerky in the past like i had, and have been turned off, please do not let that stop you from trying this one. 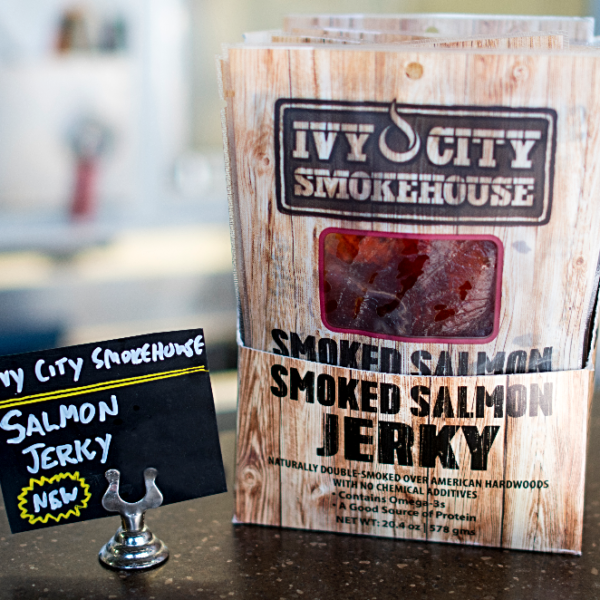 Thanks Ivy City Smokehouse for putting out such a great product! !